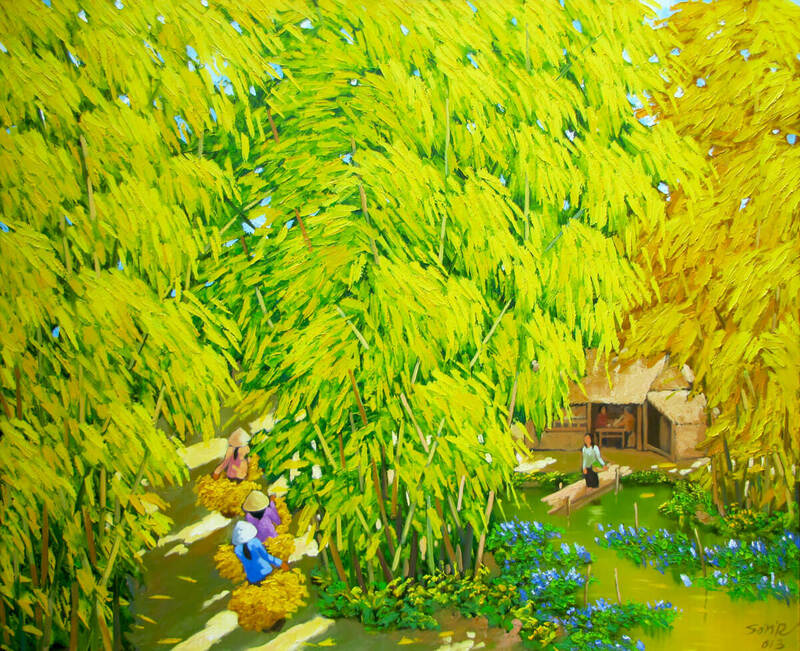 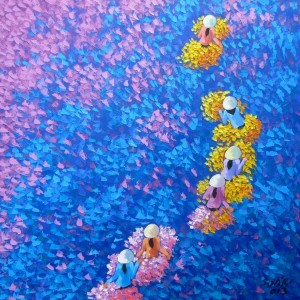 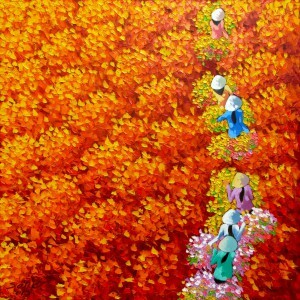 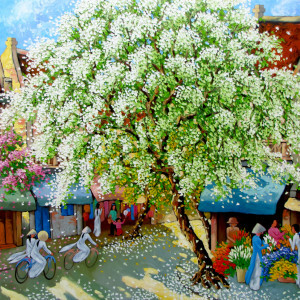 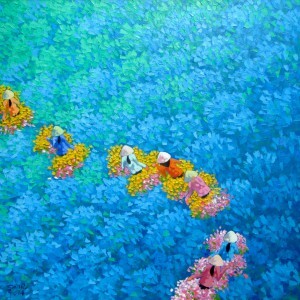 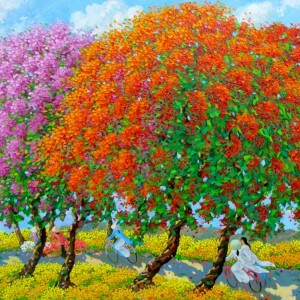 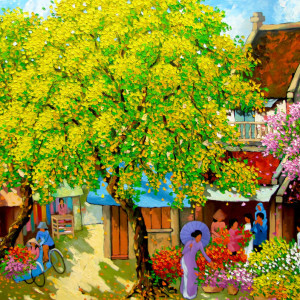 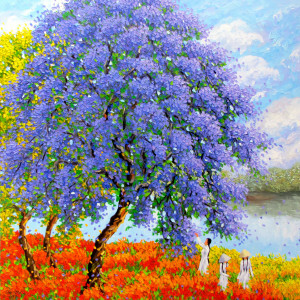 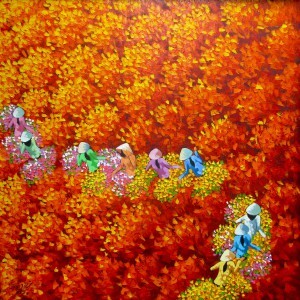 In this oil on canvas on a peaceful rural scene, Duong Ngoc Son was inspired by traditional painted lacquerware, that is quiet popular in Vietnam. 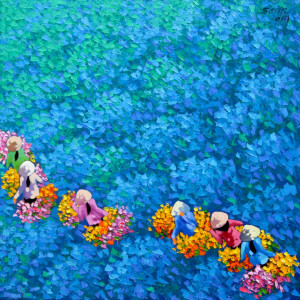 The artist enriches and intensifies the traditional color palette and exaggerates the brushwork, making it more tangible. 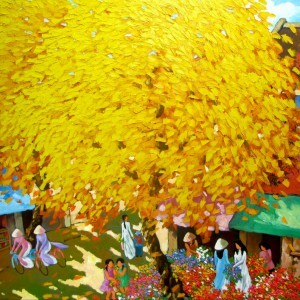 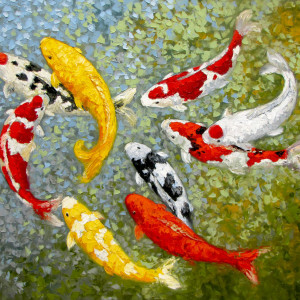 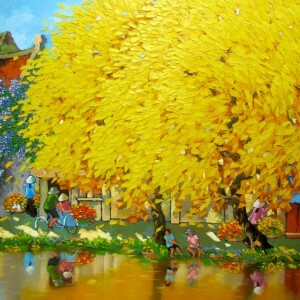 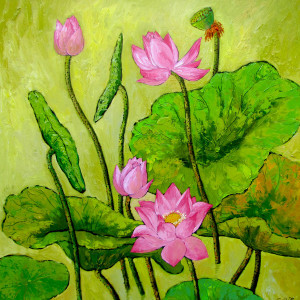 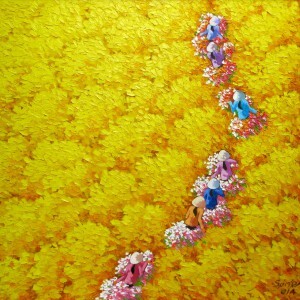 Therefore, this painting is a great example of contemporary Asian art.